"Because a plate of Gulash tastes better with company." 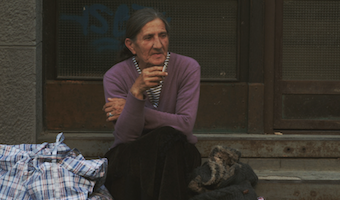 Mira, a Romany woman, decides to sit and rest at the front entrance of Selma’s house. Selma, notices her and gets annoyed by this situation. She will try everything to kick Mira out.